Not sure how many feet it is in length as I haven't measured it yet & I have more track than pictured with heaps of layout options. It is setup on a ping pong table & I've only just started playing with layouts but this stage works pretty good, is quite technical with lots of stop start braking & cars that slide well do good, the super sliding curves are awesome & I plan to add more. A good lap in a non-mag car is about 17 seconds on this layout. Surface: 75% SCX 25% Scaly Sport. Scenery: So far I have made some guardrail advertising panels, one background & I have about 90 pine trees so far & I'll add more as I go. I will add grass, buildings & WA road signs etc as I can, a work in progress. Power: I had was some power issues once I got over about a 12 second lap time but this was sorted with some soldered power taps and I will eventually finish the track with copper tape once I'm happy with the layout. 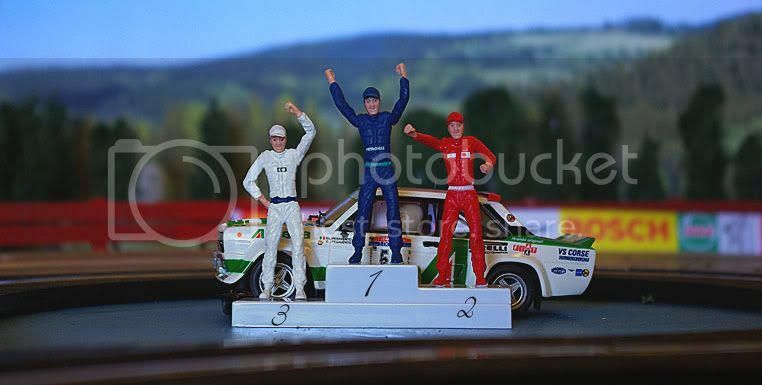 Timing: The SCX Rally Chrono pack is really good, I rate it highly & would recommend it to anyone. It is well priced, easy to use (only has two buttons) and it times to hundredths, tells you total time, fastest lap & average lap speed. Only problem was that it only times mag cars but this was easily solved by adding a small mag held onto the car with some blu tac about headlight height. Mounted either front or rear it trips the timing without adding traction to the car. 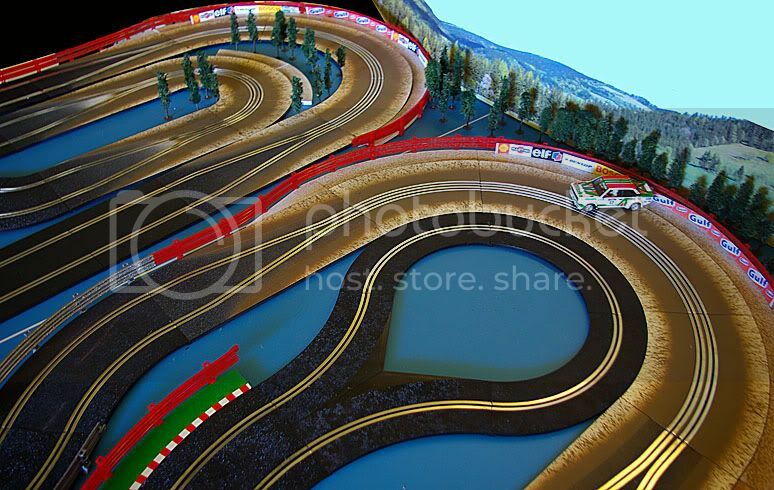 Is that the track for the WA round of the Ozrally proxy? If so what are you going to do for timing the proxy cars? Edited by kalbfellp, 15 November 2009 - 05:33 PM. Whoo hooo! Just need to add some good ol' WA pea gravel and watch 'em fall. Looks like fun. Looks good SR, great photo's, have you thought about changing your timing setup to avoid adding mag's to cars? 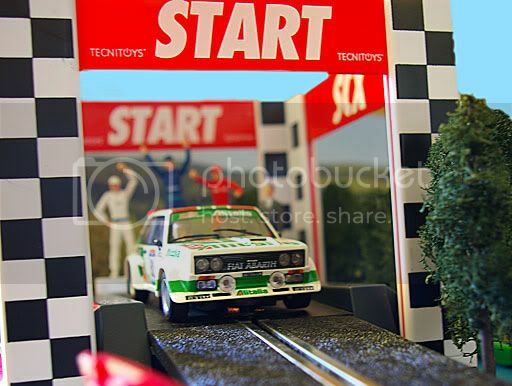 Aastes (forum member) could have a Startline system to suit a 1 lane rally setup. Edited by Davnic74, 15 November 2009 - 05:39 PM. 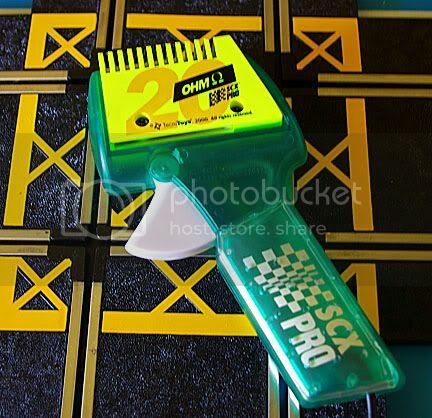 Can you easily reach the middle area to marshall cars that may come off in the loop and curves? I'm not sure why people keep questioning the timing system? It measures down to hundreths, saves your best lap, total time, average lap time & you can run 1, 5, 10, 15 or 20 laps, what else does it need to do? the timing system needs to work with all the cars without having to add anything to the cars,so you really need either a dead strip,optical sensor,reed switch or similar to operate the timing system. Edited by kalbfellp, 16 November 2009 - 12:21 AM. I think the SCX system is fine only needs some sort of better sensor added. Lookin good Ira. It looks like you are putting some thought into the layout. 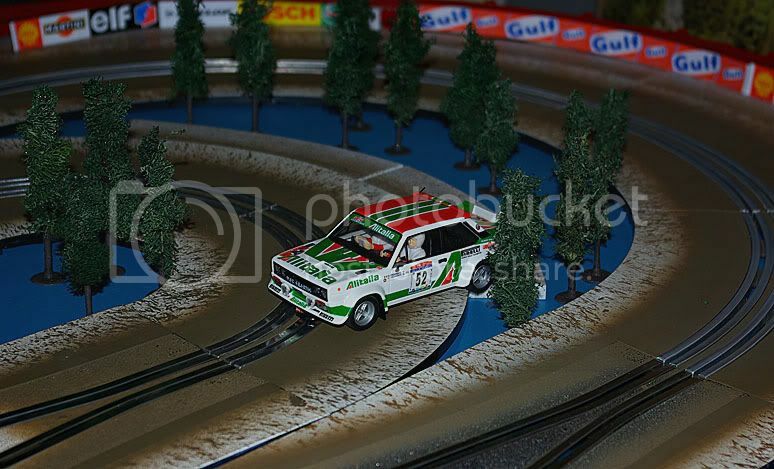 I'm not overly familiar with rally tracks, but it looks like you can fit fairly lengthy tracks into a small space. Once you start painting it, and making things a little more permanent (if that is the plan) it will really look liek a rally stage. Nice job. Thanks Kirk, yeah I've got some more track ordered & with some elevations added I reckon you could easily get a 25 second single lap just on a table tennis table. But yeah it will all be permanent once I get a layout down pat. I've experimented with various layouts & it's quite surprising just how you can change the feel of a stage by doing a few simple things. One really fun stage is the three drift curves back to back no straights & a loop on each end. sooooo flowy, after ten mins u can like go into a trance.... 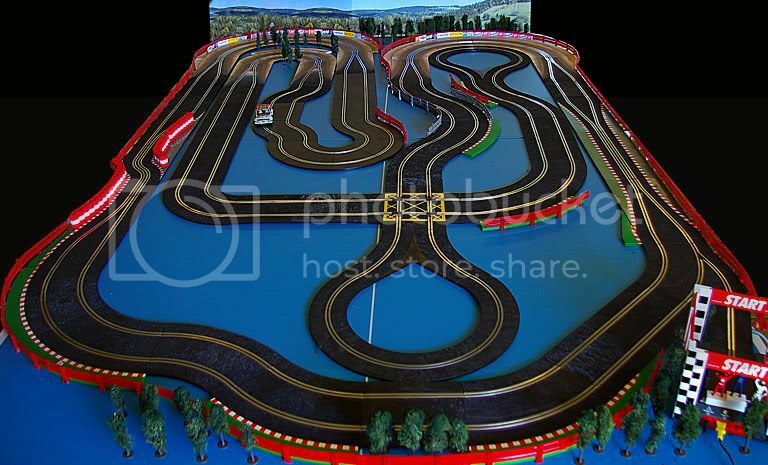 I've got more drift curves ordered they are awesome to drive, a real rally feel. Edited by silver rocket, 22 November 2009 - 10:51 PM. The track looks fabulous, too bad I am on the other side of the continent. As for the 'fun police', some people are wired negative earth and the ones who enjoy life are wired positive earth. Stay positive my friend and ignore all the doomsday predictions. You have done a wonderful job and your round will be great. Are you sure you are in Perth? Where are the sandgropers on the layout? LOL. they could hardly have understood what power was destroying them. Looking good Ira. A bit of scenery and that will be a mint complex little rally stage. Are you going to go with a dense forrest for the scenery like the Perth Hills? It may cost a bit. You could get around it by doing a more gravelly field. We have used a product that gives a really good gravel look if you want to go with something like that. I have four rolls of copper left over by the way so when you are ready give me a yell if you want it. I dont know the ins and outs of having the dust over the track but I think it looks mint. 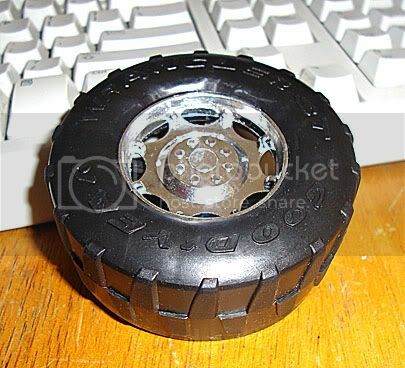 The gravel product would worok really well if you glue it to the track first and then have some 'loose marbles' as well. Alternatively, if the loose marbles arent your bag, then you could probably laquer the gravel over the track to give a gravel type surface anyway. You can check out Copper Mill Raceways gravel traps using the same product tomorrow night anyway. The "Spaniards" use Cocoa, Corn meal and flour on the "dirt tracks". We are doing one round on "dirt" in the SCX Classic Rally Proxy series, but that is scheduled to the last event, because the cars need to be seriously cleaned both before and after the dirt stages. Thats a cool video hey Dave one of my favs, it's slightly slo mo but which means your eye sees more details than normal time but yeah it's still a cool vid. I'll def experiment & use something like that eventually or maybe just for one off events as I think you need to seal up the engines, Torre knows more about this & he may be able to shed some light on the subject..
Torre you posted some pics on SCX worldwide forums in one of the proxy threads showing a painted track sayin it was the track for the last round which would be a "dirt" rally, I looked but couldn't find them again if you would so kind to post one here or the link to one, Dave this track looks really nice & is what I'm aspiring to achieve. In terms of undulations my track will prolly look something like this http://www.youtube.com/watch?v=BseRaZn7mn8&feature=related with rasied up bits to fit more track in. Edited by silver rocket, 05 December 2009 - 12:13 PM.